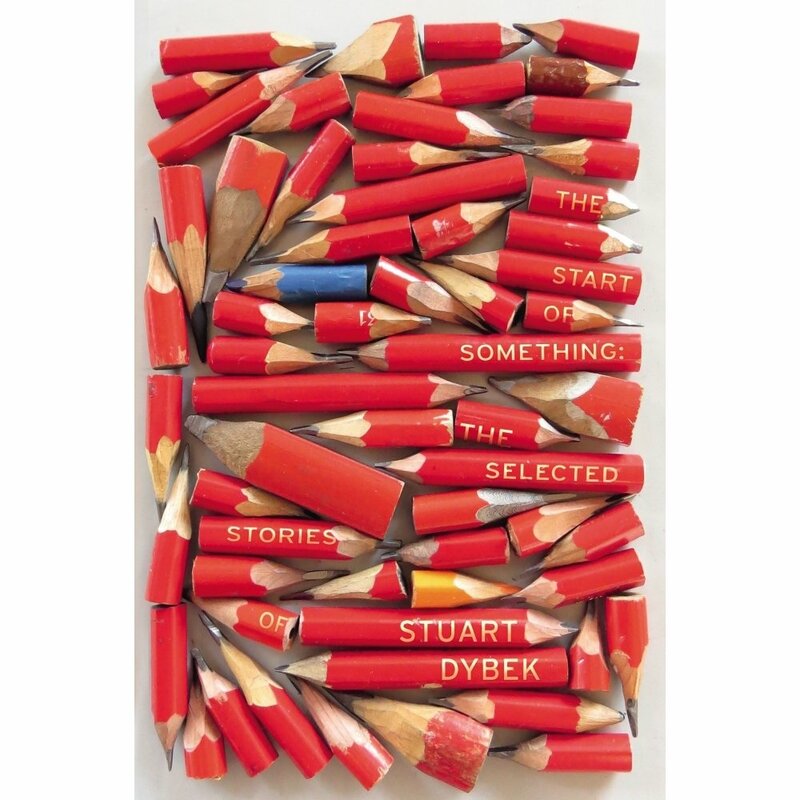 Stuart Dybek is not only a Chicago treasure, he’s perhaps the best short-story writer in America. A youthful 75, Dybeck is a second-generation Polish American who grew up in Pilsen and Little Village, a fact that permeates through his work, which includes two poetry collections and many award-winning short story collections including “The Coast of Chicago,” which was a New York Times Notable Book and American Library Association Notable Book in 2005. His work has also been anthologized and has appeared in Harper’s, The New Yorker, Atlantic Monthly. 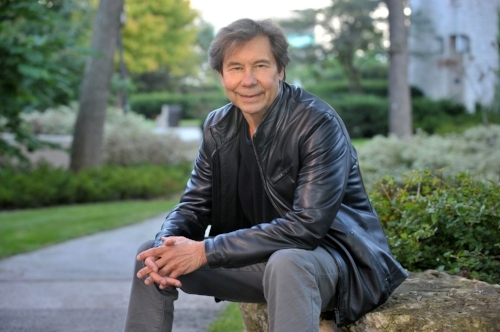 He taught more more than 30 years at Western Michigan University before being named the Distinguished Writer in Residence at Northwestern University. He also teaches every July in Prague at Anglo-American University as part of Western Michigan’s Prague Summer Program and spends one month every summer diving in the Florida Keys, acquiring a love for the sea in this mid 20s when he taught for two years in the Caribbean. Bob Chiarito of the Chicago Ambassador sat down with Dybek at his Evanston high rise apartment to talk about his writing process, what he’s working on now, his flirtation with playwriting and more. CA) Does your writing routine change based on if you’re teaching or if you’re on a break? DYBEK) Oh yeah, sure it does. CA) What was your routine today? DYBEK) I’m moving into writing first, writing first thing in the morning and not having to put the energy into somthing else — some people it comes natural to, it doesn’t for me. One of the things about multi-tasking is that having to make that separation demands energy. You may not even realize that you’re putting that energy into it, but it’s going in there. Something has to turn off. To put it in a larger context, I think that’s always the story of the imagination. We give the imagination this enormous amount of lip service. But to actually allow ourselves access to imagination is a very different thing because there is a subversive quality to it. In many ways it’s subversive to the many daily tasks that it takes to survive. You have to find some way to give yourself permission to step out of that survival mode and get into more of a mode of a dreamer. I don’t subscribe to it but I can see where someone would use alcohol. I use music myself. Music is the way I get into there. Joyce Carol Oates said to me once, and she loves music, I think she plays piano. She said, ‘You write to music? I could never write to music, once I put it on all I want to do is listen.’ So part of writing, besides learning the craft, is finding the way you’re wired and finding the little tricks and strategies that you’re going to use. CA) So you actually listen to music when you write? DYBEK) Yeah. There’s a big stereo in the next room where I write. The type of music I listen to when writing, if I had a party going on and wanted everyone to leave, I’d put that on and they would probably be out of here in five minutes. It’s very moody and kind of melancholy. Philip Glass comes to mind. CA) (motions towards a guitar that is siting in the corner of the room) You play guitar? CA) I think it’s interesting because I think a lot of people would consider music a distraction. CA) Are there other things that would distract you? I notice there is no television in here. DYBEK) I have one in the other room. I watch it but I try to limit myself. It has some great stuff on it now. There’s been a huge breakthrough on television in the last dozen years but it still has such a diet of dumbass stuff. And the endless barrage of advertising that makes the American male out to be one of the most stupid creatures on the planet. Fighting their weeds, buying weed whackers… [laughter] Apparently it sells automobiles. CA) You’re a proud South Sider, growing up in Pilsen and Little Village. What were the best and worst things about growing up there and how did you confront that in your writing, if you indeed did — or escape from it in your writing. DYBEK) For me the best thing was, and I’m not sure it was dependent on the neighborhood but the neighborhood certainly contributed to it — the free-range childhood. Most kids back in those days were living something similar. I think of the supervised childhood that kids are living these days as a creation of the suburbs. I don’t know if that’s sociologically accurate, but it was the time of the boomer generation so the population was dense. I lived in a project that’s still there called Lawndale Gardens which had a huge population. By the time you were 12 you probably met every personality type that you were going to meet for the rest of your life in that tribe of kids running wild and free. There was a fair amount of diversity there because it was a port of entry neighborhood. CA) Pilsen or Little Village? DYBEK) Both of them but especially Pilsen, the very name itself bespeaks that it was settled by Czech free thinkers basically. They came and started free schools. The reason they left Czechoslovakia was to escape oppression, this was long before communism. It was also a center of union movements and the other thing you experienced — and you didn’t know you were experiencing it, only in retrospect did you realize that that neighborhood afforded you a first-row seat to one of the things that’s least talked about in the United States and that’s class. Bernie Sanders is trying to get people to talk about it but its never been something Americans want to think about, probably because of our relationship with England. A lot of the people lived there because they were living close to their jobs. My father worked at the factory at McCormick Works. He was a Polish immigrant and there were immigrants of every kind there, so you also experienced ethnicity and race in their full cultural outfits. In other words, they weren’t just these types of reductive, often racist names. ‘He’s a Polack, he’s a WOP.’ You could cross Western Avenue and head towards St. Michael’s Church and understand what being Italian was all about because they had a pizza fair in the summer that you would not miss. [Laughter] My best friend was part Greek, part Italian and the differences between who was cooking what for dinner was pronounced. Here you’re living in this geographically challenged place, the United States, where people couldn’t tell you where Italy was and especially the Czech Republic, never mind that it’s no longer called Czechoslovakia. But you are experiencing all these different cultures and music and every corner had at least one bar, sometimes there would be three and the fourth corner would be a church. I grew up thinking that life was like that and it came as a surprise to me that most people really didn’t have a childhood like that. So, the good angel is saying what a gift that was. There was a bad angel too though because it was a neighborhood that had a lot of the problems of poverty. A lot of the kids, a lot of friends didn’t survive very long. I had a lot of guys that I grew up with and when I say guys — the women easily had their own even more severe problems — but it was the guys who were dead before 25. They died in a variety of ways but most of them violent. And it was a storytelling neighborhood, people never stopped telling stories. Now, going back to the second part of your question, it never occurred to me that I could write about any of that. By the time I got to college I was starting to get interested, maybe even secretly passionate about writing. I had always liked to read but the writers that I was attracted to early on were people like Edgar Allan Poe, science fiction and adventure writers. Whether it was Huckleberry Finn or Jack London and then that translated very easily to Hemingway who of course was this enormous — and even to this day despite some negative press about him as a person, his style remains seminal. So I thought you had to travel and have this whole American experience. What seems obvious to me today, is that your experience can be mental as well as physical like someone sitting, researching, deeply researching in a library. He is having quite an experience and there isn’t any reason why they can’t be writing off of that. But at the time it was also real permission to sow your wild oats. It wasn’t until I was in Peace Corps training, I was supposed to go to Africa but due to a soccer accident they wouldn’t let me on the plane. I ended up teaching in the Caribbean but in any case, it was only then, when people from all over the United States were there in that training and we were trying to get to know each other as quickly as possible. We would all be telling stories and I could see that my stories from the old hood, which I mostly told for comedy, were well received because we had a cynical common view of things. The only people with stories that were similar were from the guys from New York, who grew up in almost the exact same urban, dense areas as I. It never occurred to me at that moment that those stories had value and it should have because I had by that time started to read Chicago writers. But I read them with a different type of attentiveness. I read Studs Lonigan and I loved Farrell’s writing. I had read Algren and a little bit of Bellow, a little bit of Sandburg, but I really started to read a lot of writers who came from my same area. It really became clear to me that it was something you took for granted. You could take one step back and it would be exotic. CA) When you were talking about the buildings it reminded me of Algren and even some of the stuff Mike Royko would write about in his daily column. DYBEK) I loved Royko, of course. And Studs [Terkel] was one of our heroes growing up. The beatnik types of guys I hung out with, we would religiously listen to his radio show. CA) How long were you in the Caribbean? That experience, I’m trying to write about it now — the reason I went there instead of Europe was that the other thing that happened to me growing up in Pilsen and Little Village was that a lot of those factories were already shutting down and heading south to break the unions. Later on they would move out of the United States entirely but first they moved south, including the place where my father worked. He almost lost his job in this fifties and he wouldn’t have gotten another one. They sent him to Memphis. But those lots bordered the wetlands of the Chicago Sanitary Canal. The neighborhood was laced with industry and train tracks and the tracks were all flyways. I mean you could see birds and animals there and I was always fascinated with nature even though I was growing up right in the middle of the city. Even more so because of that, so I became an insect collector and butterfly collector and that dimension was what I was seeking when I went to the Caribbean and unlike so many things we seek and never find, partly because we start out with the wrong thing in mind, this was one of those few moments in life when what you imagined was not only there but — [distracted by something out his window] — I don’t know if you just noticed but a Peregrine Falcon just flew by. It lives on the roof. Sometimes I’ll be writing and I’ll see what looks like snow falling but it’s him cleaning a pigeon. Anyway, I think I caught the end of it. The cruise ships were starting to wreck it. Even as we speak things are going extinct all over the world and we have a guy in office that’s denying climate change. So, I caught the end of it. So along with that urban thing that exists in my writing, what I’m trying to move to now is to get that other foot, to make an imprint in my work. The Start of Something. One of Dybeck’s many short-story collections. CA) That’s interesting because I think some of your fans may fear that you’re going to get away from writing about the city. DYBEK) There’s a wonderful writer named E.O. Wilson and in one of his books, his idea was that you could take a city kid and if there was just a patch of back yard, you could let that kid in the back yard and if he sees the microcosm of the wonder of nature, like the way a child sees a spider in a web or starts to chase a grasshopper or sees a dragonfly, it’s called the shock of recognition and that was my exact experience. I started looking at bugs on 25th Street. [Laughter] Actually on 18th we had an air-shaft full of spiders and it was just this other world that I couldn’t stop thinking about and watching. What Wilson says is that once that happens to you, you will be a friend of nature. So part of what I’m trying to write about is not that I’m turning away from urban life, but the fact that it’s there even in the urban areas. So here you had these factories that brought people from Europe, from the South and now capitalism has dictated that you’re not making money so you fire these workers or send them somewhere else and the backs of these factories are now returning to nature. Where they had all the pollution and the dangerous metals, the prairie starts forcing its way up within sight of the skyscrapers. That’s a vision of the city that should be talked about as well. CA) I don’t want to get to political but the current administration has talked about defunding the National Endowment of the Arts, something you’ve benefitted from in the past. What do you think will happen if that happens? DYBEK) One of the things people like to complain about is the difference between Democrats and Republicans, conservatives and liberals. Conservatives have a way of just reducing everything to a nice single sentence. Liberals try to talk about the complexities. But to answer your question, I have to take one step back. When you go England for example, there is a physical England and there is a sense of national identity that isn’t just coming from the landscape or the history. It’s coming from Dickens and Shelley and Keats and Shakespeare and Blake and all of the people who made art. When we look at the Mississippi, we have this great writer named Mark Twain. One of the things the city of Chicago is proud of — we have this literature coming out of this town. You don’t hear about the St. Louis school, or the Pittsburgh school or the Philadelphia school. They all have their writers but somehow it hasn’t coalesced like it has in Chicago. We’re in the middle of the country, we have this cornucopia of writers. I don’t know how many place in the world that I’ve been someone asked me where I’m from, whether its an Inuit in Alaska or someone in the Czech Republic, they grab a play machine gun and pretend to spray bullets. It’s like this alternative. Yes, ok, Chicago has Al Capone but we also have this other thing. It’s Bellow and it’s Algren. It’s Terkel and it’s Royko and all its crooked politics have been made into books that are art. So when you read Royko’s “Boss” its not just journalism — and when I say just I don’t mean ‘just journalism,’ journalism is a wonderful thing. But journalism is topical but Boss isn’t disposable. So you take that minuscule, and it is minuscule, amount of support away, it’s not so much that you’re hurting the individual artist. I mean you are but its that governance is turning its back on how important that sense of national identity is and our best self. When there was an Iron Curtain and you had Voice of America, it was the art of this country that we were sending to say ‘Don’t be a Nazi, don’t be a Commie, don’t do this.’ They were listening to Louis Armstrong, we were sending them in translation our best writers. So it’s a loss if you don’t support that. And government is only contributing a little bit but it says that yes, we understand that this is important. CA) A couple years ago you were thinking about getting into playwriting, correct? DYBEK) Yeah. That came out of a sheer love of the theater and I had the good fortune of having two good people who put on plays based on books I had written. I always loved theater and one of the things that became clear to me is that when you go to see a play, if its good and sometimes even if it isn’t, somewhere along the way there is something that is going to change about the dialogue. No matter what else happens in that story, car chases, fist fights, triple x love scenes, it doesn’t matter — the real action is going to be what people say. And that’s not always true in fiction. In other words, you can write a story where people talk but it’s mainly about getting exposition in a more interesting way into the piece. So one of the things about playwriting is that I you just keep wanting to learn. I got fascinated by the notion that if I went to see enough plays that somehow through osmosis I’ll start writing that type of dialogue or the type of story where dialogue is the main aspect of the story. In any case, I have one half written but it’s just not there yet. CA) You sound like you’re doubting yourself about it. CA) You’ve been called the best short-story writer in the country. You don’t think you could make the jump? DYBEK) It’s a very different art form, which is another thing that fascinates me about it. I have books in poetry and fiction. There are a lot of people writing fiction and writing poetry who are not going to write prose. You can say ‘you have ten books of poetry, you can’t write one short story?’ and they will say ‘No, I can’t.’ Writing’s writing and writing is not writing. Theater in particular is its own little art form. Another thing that fascinates me is that you can’t write fiction without thinking about the reader. The thing that differentiates reading from listening to music is that listening to music — and I don’t mean this in a derogatory way — but it seems to me that listening to music is a more passive activity than reading. Watching television is more passive. Watching a film is more passive. It just has something to do with the medium. We encourage kids to read and one of the reasons is because reading demands a kind of a energy and an input that the more passive forms of art do not. CA) You can’t read and drive a car like you can with music. DYBEK) Yeah, but there’s also something going on that I don’t think neuroscientists have explained to us yet that has something to do with what human consciousness is, which we are still trying to define. So when you don’t have science for something than you have to talk about it as magic and there is still this magical connection between abstract words and a human being reading them who is crying, laughing, feeling lusty, getting angry. Provoking emotions and it’s not pictures, it’s nothing coming through the senses. So one of the things that fascinates me about the theater is that when I’m a writer I’m thinking about if I’m writing it in a way that will trigger these emotions from the reader. As a playwright, you’re not just thinking about the person in the audience. You can only get to that person in the audience through the actor on the stage. So for me as a writer, I’m thinking that this will put the reader into some sort of psychological action. The playwright is saying that the bridge between me and the audience is an actor. The playwright has to write for that actor which means you really have to know theater inside and out to know what an actor can do. So you have to start thinking differently than if you were just writing a short story. It’s a collaborative art form. Writing a story is not. CA) Have you ever been tempted to revisit some of your stories? DYBEK) I’m doing that now. I have a piece that I’m trying to turn into a play. Is that your question? CA) I was more curious if you’ve ever been tempted to turn one of your stories into a novel? DYBEK) The closest I came is “I Sailed With Magellan” where I tried to develop story by story a family and a neighborhood. To write a straight linear novel, I love the form but I don’t know if I think naturally about the world that way. When you write a linear novel you can’t not believe in cause and effect and I think I’m essentially more interested in fragmentation.